After the Diabolical Drams series I think it’s only fair to come up with something more ‘mundane’ as a small series of Ardbeg’s from the 1960’s and 1970’s. You know, the times Louis Vuitton was concentrating on leather gadgets, Moët on making champange and Hennesey on making cognac. Glenmorangie only used ex-sherry or ex-bourbon casks and almost no-one ever heard of ‘The 16 Men From Tain’. The days Ardbeg took its peat from the Kildaton field, floor malting was everyday practices, kilning a charming mess. There’s still some debate going on why the early 1970’s Ardbeg can be very subtle with almost no peat/smoke at all while others are extremely peat/smoky. Some have it the workers couldn’t care less about the kilning process, especially after a good night of dramming, some have it no selection between the hairy peat (giving smoke) and the deep peat (giving heat) excisted. others have it it’s all down to the blender’s specification. I, for myself, am in a cross-over between the last two possibilities thinking the first explanation makes a great story serving a supposed Scottish attitude more than it does any good for whisky. Anyway, Ardbeg from the 1960’s & 1970’s are infamous for inconsistency when it comes to the use of peat. Some subtle and fruity a.k.a. Kildalton Style, some extremely smoky and tarry and some, you guessed it, somewhere in between. I’ve been lucky for being able to receive some samples, instead of having to buy whole bottles from Ardbeg’s ‘Tricky Period’. Some originally very peated, although age is not very kind to phenols and some originally plain fruity although oak has left some heavy marks. If you thinks the two styles will grow towards each other, you’re wrong. I found the below tasted samples quite dissonant in style… IF you are about to smash a few hundreds on an old Ardbeg, try to find out what style it has because otherwise you might be in for a MAJOR disappointment! For now: have fun! Colour: PAle amber. Nose: A slighty medicinal and diffuse impression, some orange lemonade, hints on nutmeg and mace. Develops some lime skin, a tarry back ground, bandages, roasted hazelnuts, hints on mango, fudge and smoked sausages. Towards the end there’s old wax, dried leather, waxed oeanges. With time some oak comes in. Palate: A tad too light. Very mild curry sauce, dired curry leaves, faint notes on iodine, slightly medicinal. Hints on nutmeg, leather, dark malts, some licorice, bay leaves. Finish: Some aspirine, nutmeg, leather, waxed malts and roasted almonds. Fades away with notes on beer. Needs some time to open up. It has enough on offer but lacks any power or shoulders, it would make a perfect opening dram on a Islay tasting. Colour: Hazel, red hues. Nose: Very nice and inviting nose. Resin, turpentine, waxed leather, subtle notes on dry ‘sherry oak’, ferns, ultra subtle undercurrant of sweet styled peat and humus. After a while it gets sweeter and more cognac like and develops subtle notes on nutmeg, linseed oil. After a while notes on pistachio’s and roasted almonds emerge and fudge. Palate: Fairly light and no match for the nose at first. Faint notes on sherry oak, a distant note on rubber in the back ground, some peppery malts. A big sip brings out a very subtle note on peat, roasted almonds. It gets more bitter after every sip adding uo to a much needed body. Finish: Movinig to subtle notes on walnuts now, some malts and notes on beer. Well… I’m a tad dissapointed in this one. The nose is okay, could have used some more depth and power, the weakness is on the palate. Very timid and almost sereen of style. Still it offers a very fine and very subtle dram. Colour: Golden, bright yellow hues. Nose: Very expressive almost to the point of being harsh. Medicinal, clay mask, make up cream, rubber, sulphur, humus. Very waxy and lemonny. After a while notes on custard, lemon grass, some pine resin, dried moss. Has lots of development. Water brings out subtle notes on charcoal, pecian pie. Chammomille and some subtle notes on coriander. Palate: As the nose, quite some clemon skin, bitter malts, subtle notes on sulphur, peppery oak, make up cream, clay mask. Gets a dark mouth feel. Water makes the whole more medicinal and notes of nutmeg, mace and ferns emerge. Coriander seed as well. After a while some notes on Shweppes. A bit weird mouth feel. Seems to be a bit carbonised. Finish: A tad dark oak, peppery malts, some notes on Guinness, caramelised chiciroce, almonds. This one needs to be tamed a bit. It’s not the everyday wild and rough styled Islay, far from it, but it does need tender, love and care before it shows its complexity. Colour: Amber. Nose: The nose is quite punchy. Resinous oak, hints on rubber, wax, some peat and somke in the back ground. Quite metallic, warm copper, pertinax, white pepper, some lime skin. Develops notes on guava, sourish coffee, ferns, subtle notes on chamomile. Added water brings out notes on grapefruit. After a while it gets really waxy while the smoke gets a tad sulphurous. Lots of development here! Palate: Wonderful peaty now. 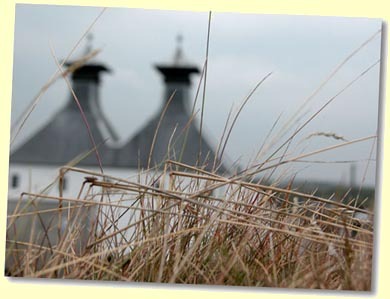 Great balance between the peat and the spirit. Roasted malts, some tar, oily vanilla, pine resin, hints on dried moss, humus, charcoal. Added water brings out a wonderful spicyness. Cinnamon, some Caraïbian pepper corns, grounded cloves and some nutmeg. Also notes on lime skin and grapefruit. As the nose, lots of development. Finish: A tad bitter now but not too. Walnuts, slightly citrussy peat, bandages, some black pepper and hints on iodine. Fades away with strong notes on chloride. Great Ardbeg, nothing more and nothing less!